Fisher and Paykel has taken several features from their SleepStyle line of CPAP machines and combined those and more to enhance patient comfort and provide a personalized therapy system. The ICON Novo is the entry model and sets the standard, incorporating ThermoSmart technology in a streamlined body. The built-in heated humidifier and optional heated hose delivers condensation-free humidification at the touch of a button. The ICON is ideal for home or travel and comes with an alarm clock and music playing capability. The compact design and clock functionality makes the Fisher and Paykel ICON an ideal substitute for the bedside night stand. The ICON incorporates a single SmartDial that uses a "Press-Turn-Press" principle. Turn the dial to access efficacy data from the display or set the built-in alarm clock and music playing ability with the AlarmTunes function. Use the SmartStick Studio software to upload your favorite songs and have the ICON's alarm start your morning with music! The Icon Novo has a ramp feature that runs for 20 minutes. The length of the ramp cannot be adjusted by the user. The ramp starting pressure of the Icon Novo is determined by the machine and is based on the pressure setting of the machine. The ramp will start at 4 cmwp or at 1/3 of the prescribed pressure. The machine will use whichever is the larger of those two numbers. For instance, if a machine pressure is set to 8 cmwp the ramp would start at 4 cmwp since 1/3 of 8 is 2.666 and 4 cmwp is the minimum setting. As another example, if a the prescribed pressure of a machine is 18 cmwp would start at 1/3 of 18 or 5 cmwp because 5 is greater than 4. The ramp feature is not required for use of a CPAP machine. It is optional and can be used if desired. To start the ramp on the Icon Novo, with the machine blowing air, press and hold the SmartDial for 3 seconds to start the ramp process. Fisher & Paykel is traded on the NZSX and ASX under ticker symbol FPH. 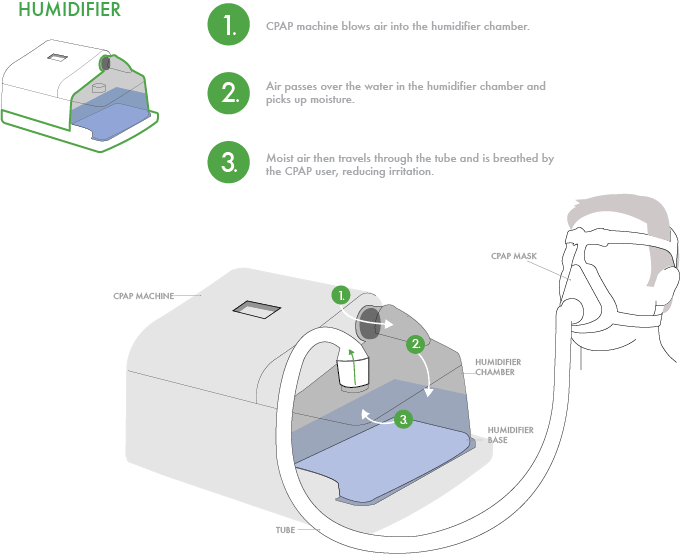 They pioneered heated humidification in CPAP Therapy with their HC100 Heated Humidifier and continue to lead the industry in heated humidification innovation. They are also well known for the quality of their Full Face Mask offerings.